In love with Formula 1: Abu Dhabi GP: Mercedes dominated the season finale! Abu Dhabi GP: Mercedes dominated the season finale! Both Mercedes drivers got an excellent start and Rosberg had no difficulties to maintain his lead. Kimi´s start left a little to hope for and Force India´s Perez was challenging the Iceman for real. Luckily Kimi managed to maintain his third place. Williams´ Bottas was the one to lose most at the start: the Finn dropped down to P10 on the opening lap! Sebastian, who had started from P15, made brilliant work and jumped to P12 on the first lap. Lotus´ Maldonado and McLaren´s Alonso on the other hand collided on the opening lap, which lead to Maldonado´s retirement from the race. Alonso had to pit for a new front wing. At first it seemed that Kimi could actually match Mercedes´ pace. Rosberg was clearly controlling the race. Hamilton followed his team-mate closely but the Briton had no chance to challenge the German. The pit stop roulette started already on lap 6. By lap 8 Sebastian had already made his way up to P5 thanks to his rivals´ pit stops. Sebastian himself had started to the race on the soft tyres so the German had a much longer first stint than his main rivals. Williams´ Bottas pitted on lap 9 and his pit stop definitely didn´t lack drama. Williams ended up releasing Bottas unsafely from the pit stop: the Finn crashed his front wing into Button´s McLaren, who was just driving to his pit box! Very frustrating for the Finnish Williams pilot, who had to pit again on the following lap for a new nose! And a moment later Bottas was given a 5-second penalty for the unsafe release, which ruined the Finn´s race for good. On lap 11 the top three drivers pitted for a fresh set of soft tyres. Those yellow-marked soft tyres seemed to suit Kimi´s SF15-T perfectly and after the pit stop the Iceman was the fastest man on track! A few laps later Hamilton managed to overtake Sebastian easily and take P2 from the German, who hadn´t pitted yet. Rosberg had a 6-second lead over his team-mate. Sebastian was third but his team-mate on the new tyres was right at Sebastian´s tail. Sebastian didn´t make any effort to prevent Kimi from overtaking him, which told a lot about Ferrari´s team spirit. It was so great to see how well the Ferrari team-mates worked together as a team. Sebastian pitted not until on lap 24 for the first time. Fresh soft tyres for him as well. Sebastian rejoined the track in P6. When Ricciardo in his Red Bull and Perez in his Force India pitted for the second time, Sebastian was back in P4. Hamilton had decreased his gap to Rosberg into just 1,5 seconds but that was actually all Hamilton could do. Rosberg pitted from the lead on lap 32 and Kimi a lap later. But the pit stop was anything but smooth for Kimi! The team had difficulties with detaching his front right tyre and the pit stop cost the Iceman a few frustrating extra seconds! Luckily there was no one at Kimi´s tail so he didn´t lose a position because of the delayed pit stop. Kimi rejoined the track behind his team-mate but Sebastian let him through for the second time on lap 37. Sebastian pitted for the second time on lap 40 and once again he rejoined the track in P6. He was right at Ricciardo´s tail and finally it turned out quite easy for the German Ferrari ace to make an overtaking move on his Australian ex team-mate. Hamilton was stubborn and insisted on the team radio that he wouldn´t pit for the second time but would try to go till the end on the second set of tyres. However, the team told his driver it was much too risky and Hamilton had to settle for coming in for the second pit stop. On lap 46 Sebastian managed to make his way past Force India´s Perez, whose race pace was anything but impressive. Rosberg in the lead had an 8-second gap over his team-mate, who was trying everything he could to close the gap. That, however, turned out to be a mission impossible! Rosberg cruised to the third victory in-a-row and Hamilton had to settle for P2. Kimi drove an awesome race and completed the podium. I was so so happy for the Iceman! There seems to be something magical about these night races as they seem to suit the Iceman especially well. Sebastian finished the race in P4, which was a magnificent result considering the fact that he had started to the race from P15. 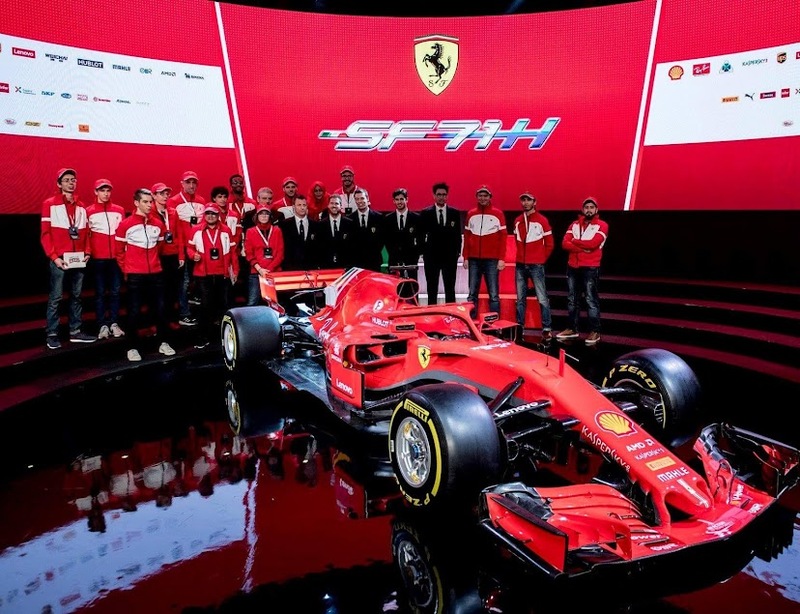 Although Ferrari´s race pace was convincing, it still wasn´t quite enough to challenge the Mercedes duo... Perez finished 5th, Ricciardo 6th, Hulkenberg 7th, Massa 8th, Grosjean 9th and Kvyat completed the top ten. Bottas ended up in P13 after all the setbacks. Toro Rosso´s Verstappen had a difficult race as well (he faced a 5-second time penalty due to gaining advantage for overtaking off-track) and the Dutchman drove to the chequered flag in P16, which meant no points this time.